Picture this: You watch a sales rep swing and miss with prospects all week. You’re a modern sales leader, so you look at their metrics, take plenty of notes and come up with helpful exercises to help them improve. You sit down for an hour-long one-on-one coaching session where you share the tips and exercises with your rep — but they aren’t as engaged as you had hoped. They smile and nod, tell you they’ll work on it and then go back to their desk and make the exact same mistakes all over again. Effective sales coaching isn’t always as easy as you think. Every sales leader wants their reps to sell better, and it’s your job to teach them how. We recently spoke with LeaderAmp founder Dr. Matt Barney, the only organizational psychologist credentialed by Professor Robert Cialdini to teach the six principles of influence. In other words, he’s an expert on the psychology of influence and persuasion. He explained how each of these six principles are useful tools for sales leaders. Many times, the principles are applied by salespeople to interact with prospects, but today we’re going to explain how to use them to sell to your reps. Sell them on coaching, that is. The principle of reciprocity, Matt explained, says that people want to give back to those who’ve given to them first. As a sales leader, you can give your reps the gift of skills, removing barriers, helping sales, etc. In return, they’ll feel like they want to reciprocate your kindness. “Constantly be vigilant as a sales leader about where there is an opportunity to invest in your team,” Matt suggested. When you treat your team well, they’ll likely be inclined to return the favor by working hard and dedicating themselves to hitting your team’s goals. Similar to the first principle, liking is the idea that people prefer to buy from others that they know and like. This is most relevant in the sales process when you don’t know someone at all, such as a new team member, lead or customer. Matt explained that if you already have something in common with someone (such as the product you sell to them or the team you hired them to work on), and you’ve proactively given them a gift — like a compliment or token of appreciation — a real relationship starts to form. Whether you want a new sales rep to feel comfortable on the team or you’re looking to really get them engaged in your one-on-one coaching sessions, take the time to really get to know them and build a relationship. When you do, the rep will feel more inclined to participate. The principle of consensus dictates that when people aren’t sure what they should be doing, they look around to see what people similar to themselves are doing, Matt told us. For a sales leader, this is why it’s important to get everyone involved in sales coaching. The more people are participating and learning from you, the more inclined your other reps will be. This is the same reason sharing case studies with a prospect — especially those where the customer and prospect share similar industries, team structures, etc. — can bring so much value to the seller/buyer relationship. “The more similar the situations are, the more that consensus (or social proof) information is useful,” Matt said. Authority is the idea that people want to rely on the expertise of people who know stuff they don’t. “This is the same principle behind why we go to the doctor or the dentist — they have more skills and knowledge in those areas than us,” Matt said. To establish authority as a sales leader, make yourself a thought leader within your industry. Be someone who thinks, reads and writes about the science and art of sales. Just like when a customer relies on a sales rep to educate them about products and the pain points they solve, you need to make yourself an expert leader in sales. Being a thought leader will motivate your reps to want to learn from your coaching, because they’ll trust that you know what you’re talking about. Consistency is the idea that once people make a choice or take a stand on an issue, they feel obligated to behave in a way that aligns with it. “In other words, people don’t violate their own values,” Matt explained. If your reps can agree that they want to learn more about sales, sharpen their skills or advance to other selling roles, then you know that coaching agrees with their stated values. Remind them that these are their goals, and they’ll be more receptive to the sales coaching that will get them there. The last principle of persuasion is scarcity, which states that opportunities look more valuable when they’re less available. As a salesperson, you’ll often to try to show prospects the revenue or strategic positioning they’ll stand to lose if they don’t purchase your product or service. “In the case of a senior sales leader coaching a junior sales leader or rep, help them see what they stand to lose if they ignore your coaching or guidance,” Matt advised. 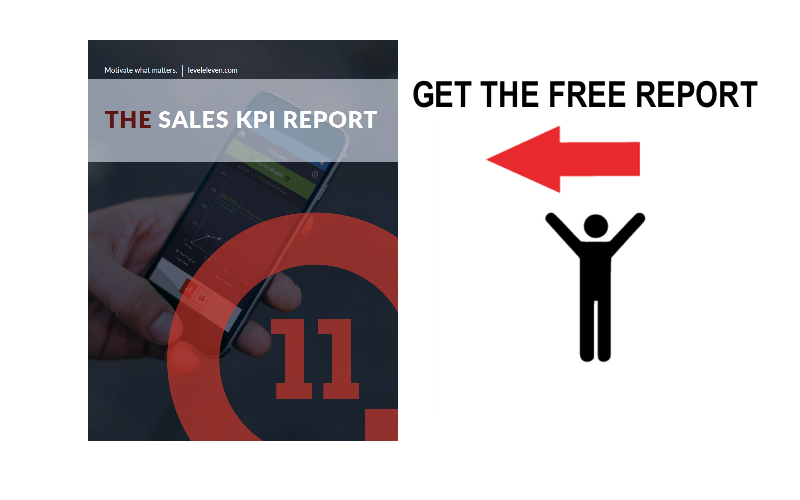 How will you hit your sales number? How will you advance your career prospect? The more you talk in terms of what they have to lose versus what they have to gain, the more exclusive and powerful the information you have to share becomes. Sales performance starts with your people, so motivate them to participate in coaching to build a high-performing sales culture.